Me and Pixar have been playing a game for the past few years. I go to the theater expecting every new movie of theirs to be the first bad one, and they continue to prove me wrong. Ignoring Cars 2, which I did not go see because it would have felt like cheating on my part, is this the one where I finally win? I wouldn’t really call it winning, because I love Pixar and don’t want to see them begin their descent from the lofty throne of excellence they have inhabited for most of my life. Fortunately Brave is not the movie that begins the downfall of Pixar. At least I don’t think it is. Brave is the story of Merida and her relationship with her mother. After some mystical doohickery they go off on an epic quest to right wrongs and keep their kingdom from falling into ruin. It’s very different from Pixar’s prior endeavors. The most noticeable difference is that this is only the second Pixar movie to focus on an all (for most of the movie) human cast. And the first to take a shot at a traditional western fantasy story. While this may chase off many, I’ve always been a fan of good old medieval fantasy, the fact that it’s set in a primeval fantasy Scottland just makes it better. The focus on familial conflict is a lot more mundane than most of Pixar’s other movies. To be honest, and this has been noted by others, it feels a lot more like a Disney movie than a Pixar movie. This isn’t necessarily a bad thing, but it certainly wasn’t what we were expecting. I think it might be a sign of my age, but for a large part of the movie I could not stand Merida. It’s not that she’s a strong female character and I’m a mysoginistic old coot. No, rather it’s because she’s a teenage girl, and I’m a teenager hateing old coot. The problem is that while she shares the same stubborn streak as all prior Disney Princesses, she’s also a lot more vocal about it. Hearing her talk about how much she wants the freedom to make her own choice, while at the same time she is dooming a kingdom to possible destruction just does not gel with me. And it’s not as if the writers weren’t aware of this, a throwaway line by Merida reveals that she is very aware that her refusal to choose a suitor could end in war, but she just does not care. While her mother is portrayed as cartoonishly overbearing, I just can’t sympathize with Merida because between the two of them Queen Elinor just seems the more reasonable. It’s not a matter of trying to control her daughter’s life because of being a control freak, rather Queen Elinor is well aware that her daughter not being betrothed to the son of one of the three great chieftains will end in war and people dying. It’s the same problem I had with the “Follow your heart” message of Mulan 2. It doesn’t help that Merida herself is responsible for the main conflict of the movie. While I understand that the protagonist causing a problem and then having to fix it is a tried and true narrative technique, I still don’t quite like it. Though, I will admit it does provide better character growth than a story in which the main conflict’s source is an external one. Fortunately, Brave is well aware that Merida is not entirely right. The big scene where Merida has to admit she was wrong has both Merida and Queen Elinor’s character arcs coming together. Both characters admit they were wrong, but Merida is the first to admit her faults, which I personally thought was fitting considering her behavior. So I find it hard to determine what exactly I think of Brave. I certainly don’t think it was a bad movie, and I definitely enjoyed myself. But at the same time there are a few flaws that I can’t help but point out. 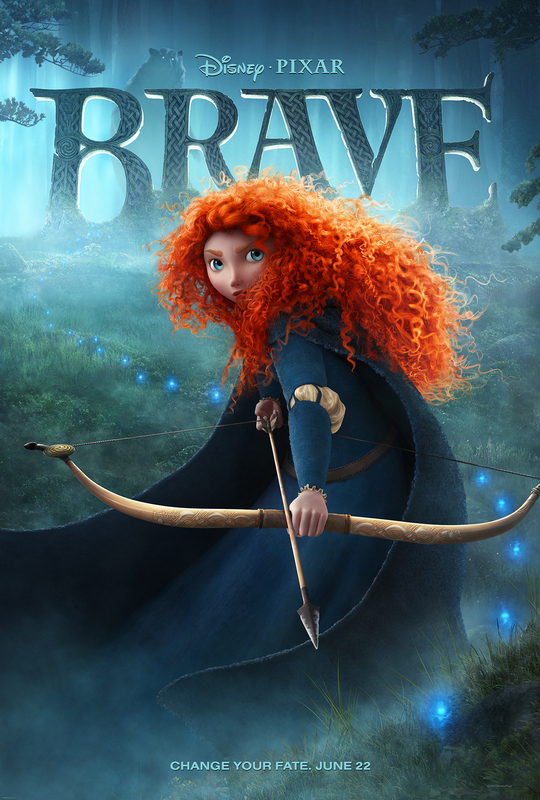 I suppose that if I was forced to, I’d have to recommend Brave to anyone that is a fan of Pixar. Just be aware that while you will enjoy yourself, the movie won’t blow your mind. I suppose this is a possibility that I didn’t consider. I thought the decline of Pixar would start with a horrid movie. Instead it is very possible that Pixar’s descent will start with a line of mediocre movies. Which in its own way is far more tragic than a sudden descent into infamy. Perhaps I’m looking at this all wrong. Rather than continually worry about when Pixar will finally start its decline, as it inevitably must, perhaps I should just enjoy the ride while I can. And that’s how I think we should all view Brave. It’s not the critical powerhouse that Toy Story 3 was, but it’s still a serviceable movie that anyone can enjoy. Previous Post:Anime Reviews: Medaka Box Episode 10 – I will not forgive you! !